I once read a succinct account of what jam-making comes down to: ‘Take a bunch of fruit and sugar and boil the hell of it.’ Which is about as accurate as it gets. Although I haven’t yet gotten up the stones to make jam and then to can it because I’m chicken of getting whatever it is you can get if you do it wrong, I have figured out a way around this. 1) Make the jam, put it in a big Tupperware container, and put it in the freezer with a piece of parchment right on top of the fruit so it doesn’t get freezer-burny. I’ve done jam both ways, but for the following recipe, I typically do the latter. Rhubarb, once called pieplant, is actually a vegetable, but it pairs so well with fruit that we give it a pass and treat it as such. It’s usually baked with strawberries—an admirable combination, if somewhat trite. Making marmalade out of rhubarb and citrus is a fresh way to enjoy it. And yet…this is a recipe from the turn of the last century. Everything old is new again, the early bird gets the worm, haste makes waste, etc. Put your rhubarb and juices into a deep pot. 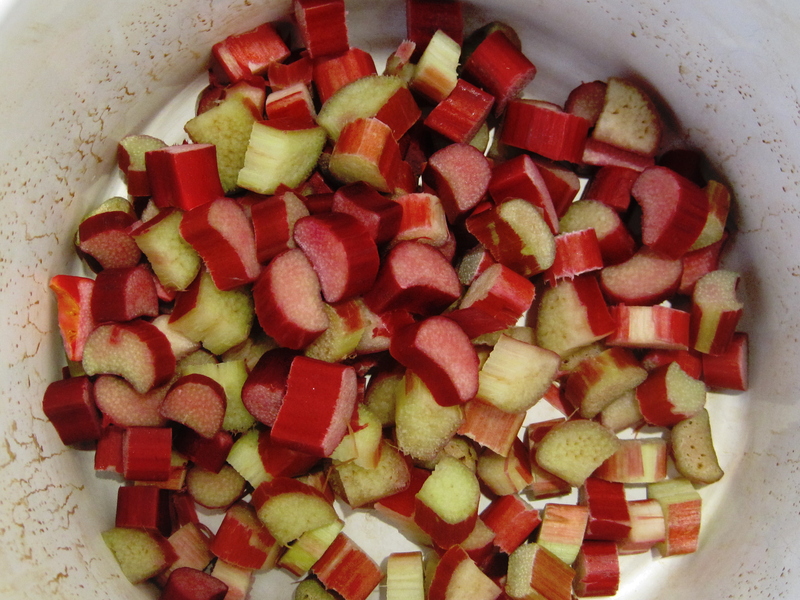 *** Bring to a boil, cover, and go check your email for about 15 minutes or until the rhubarb softens. Stir in your sugar, bring the heat back up, and boil, stirring for 5 minutes. Take the pot off the heat, stir in your citrus, and give it an occasional stir until it cools. That’s it. This marmalade would work well on toast, or stirred into steel-cut Irish oatmeal, or drizzled warm over vanilla ice cream, or layered with yogurt. It would be killer layered between lemon cake or pound cake. It would glimmer with the collective light of the Milky Way galaxy in a Pavlova, that Australian favorite made of meringue and whipped cream. Or you could be boring like me and eat it right out of the Tupperware with whatever spoon’s clean. *Oh, also? Stock up on Imodium first. **For a marmalade that’s more like, well, marmalade—that is to say, stiffer—add more sugar. 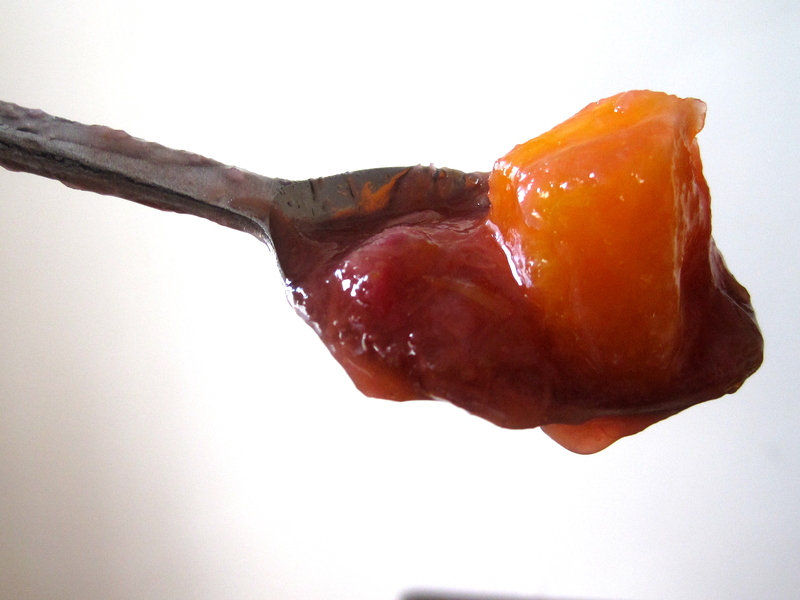 The sweetness you get from 2 cups of sugar works for me, so my goo ends up with more of an applesaucy consistency. ***My pot above is enamelware and was bought at a horse farm near me, out of a barn that smelled of wood stove smoke. The splatters are from a chicken I roasted once and which insisted on leaving a bit of a grim legacy.